GROUT GRUNT™ Saves time, saves money, makes grouting easier! Designed by a mason for a mason, the GROUT GRUNT™ and GROUT GRUNT™II masonry scoops easily hand-deliver grout for a quick, clean job every time! 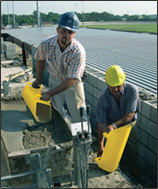 Ideal for concrete block construction. 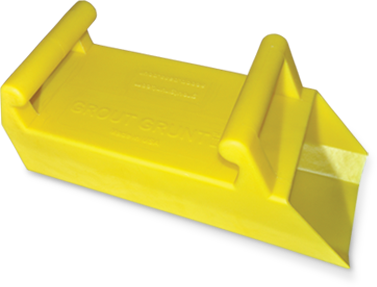 Made from rugged plastic, the GROUT GRUNT™ II is easy to fill…easy to carry…easy to clean! 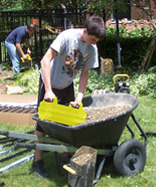 Great for filling sandbags, gardening, yard work large animal feeding and more. THE MUST-HAVE TOOL for a variety of uses!